SPECTACULAR 3,958 SQ.FT.CUSTOM SPANISH STYLE RANCH VIEW HOME on FIVE (5) ACRES in PRESTIGIOUS SKY MESA ESTATES COMMUNITY! Incredible architecturally designed VIEW ESTATE offers a LIFESTYLE that is CALIFORNIA LIVING @ ITS BEST! Entertainers fountain entrance features double custom wood doors leading into foyer & living room w/ TWELVE (12) FOOT CEILINGS, gorgeous TRADITIONAL SPANISH STYLE FIREPLACE w/ views & WET BAR! Formal dining room. Sliding doors lead to patios that surround the entire home. 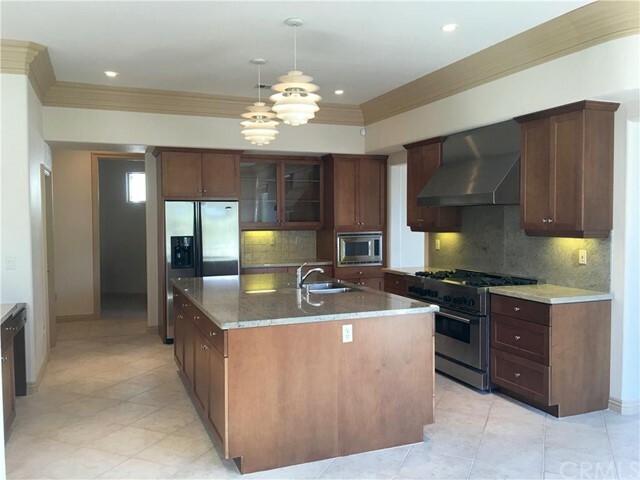 Spacious gourmet cooks kitchen w/stainless steel top of the line appliances & huge island! Superb home offers a library/study/office w/ separate bath & entrance. Guest bedrooms & FIVE (5) BATHS! Upper end fixtures & spacious top quality designed. MASTER ON-SUITE w/separate commode rooms & bidet, large shower, whirlpool JET TUB & MOUNTAIN VIEWS! FIVE+ ACRES offers a magnificent paved entrance, well appointed outside lighting features, numerous assortment of exceptional trees/plants & expansive irrigation system. Well manicured yard/patio/garden w/functionality & natural beauty! Attached quality/finished three car garage! GATED HOA SECURITY, PRIVACY, SERENITY, NATURE/HORSE TRAILS, VIEWS!! 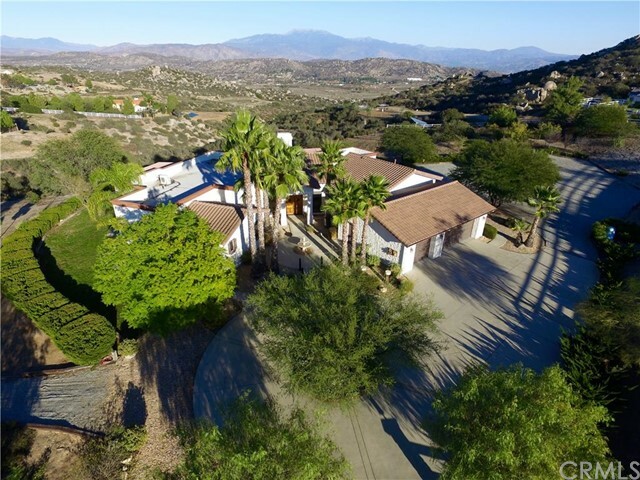 Located in SW RIVERSIDE COUNTY – EASY ACCESS TO DESERTS, MOUNTAINS & BEACHES!